Do you run a business that sells to the trade and the public and have a Trade Counter? Millions of stores do and you may be missing an opportunity to influence your customer and increase sales by promoting offers and deals that your customers may not have been aware of. Counter-top Point of Sale screens may just help. Customers standing at the Trade Counters may wait a few minutes to receive their orders, so while they wait, inform them of your best deals or daily offers. 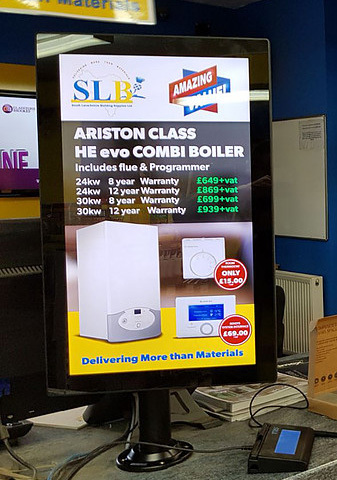 Digital signage is powerful and with your customer standing in a prime location you can inform and educate them about your business. You may even be able to persuade them to make an additional purchase. Use counter-top digital signage in collaboration with other prominent digital signage that you have located across the store, to ensure that you customers know as much about your business and services as possible. Our reseller Review Systems, Digital Signage Limited are experts in digital signage and paid advertising networks. They have completed installations in retail, garden centres, Pharmacies and many more locations. 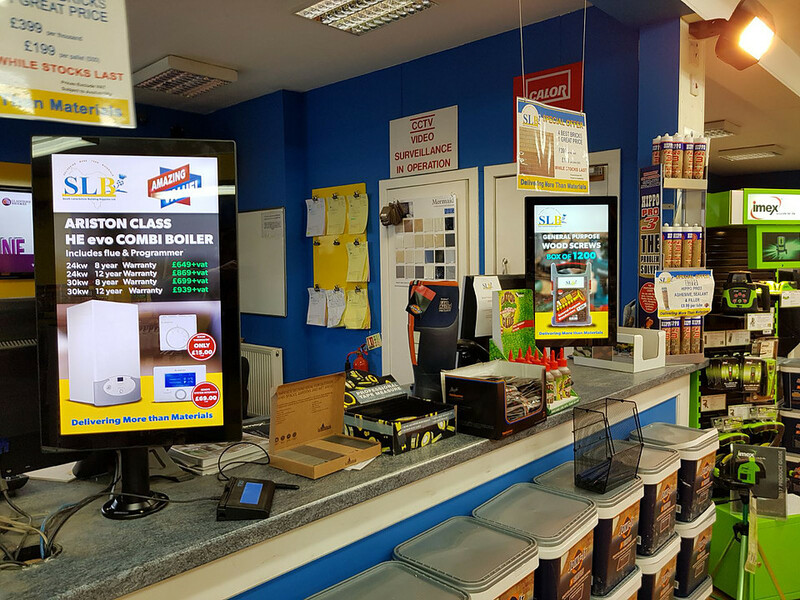 Here is a recent install of counter-top digital signage at builder’s merchants. Dynamax is passionate about ‘digital signage software’ and have spent nearly two decades developing enterprise solutions which power a wide range of digital signage networks – from Out-Of-Home, Retail, Healthcare, Transport,Corporate Communications and Education. 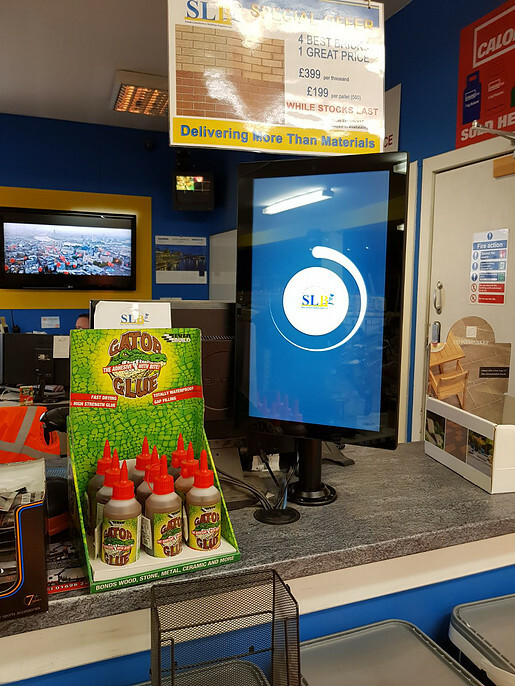 Review Systems Ltd shares our passion for all things digital signage, and has completed a large number of installations in Pharmacies, Garden centres, building merchants and shopping centres. This entry was posted in Digital Signage, Retail and tagged cloud based digital signage, corporate digital signage, digital signage, retail digital signage by Dynamax. Bookmark the permalink.